Anyone who really knows me understands how excited I am for Winter to be over. The warmer weather brings out the best in me and encourages me to try new recipes and explore the “healthier” side of things. 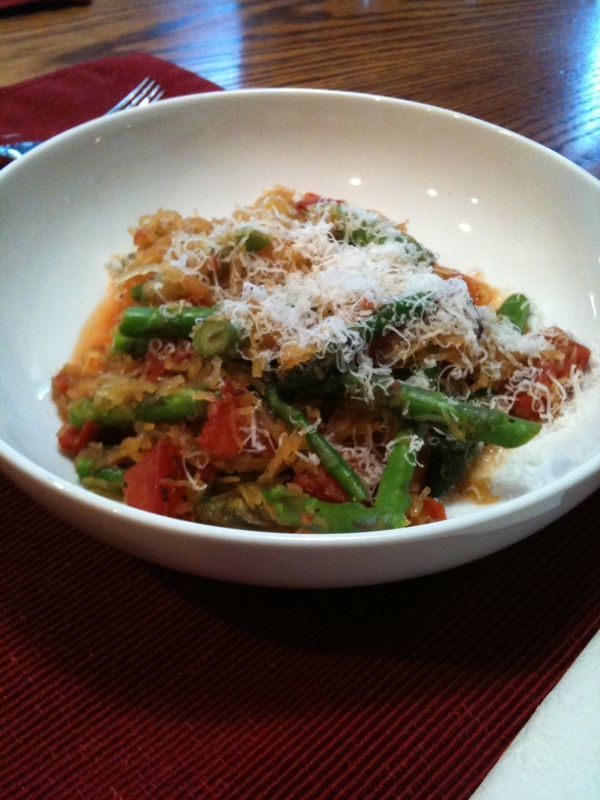 My latest healthy dish is Spaghetti Squash, I love how easy it is to make. This dish is delicious & healthy as well — who would ask for more? Here’s the recipe in a few quick & easy steps. 1. Score a whole spaghetti squash with a knife and roast it at 350 degrees for about an hour. 3. With a Fork remove the flesh and set aside. 4. Heat oil over medium-high heat and saute the asparagus until bright and green. 5. Add squash and can of tomatoes, mix and cook through until hot (about 5 minutes or so). Add fresh basil, Salt and Pepper to taste. 6. Serve and top with Parmesan Cheese. Enjoy it and be healthy!